New Delhi : The Sahara group gets a time of 3 more months from Supreme Court on Monday to raise bail money. 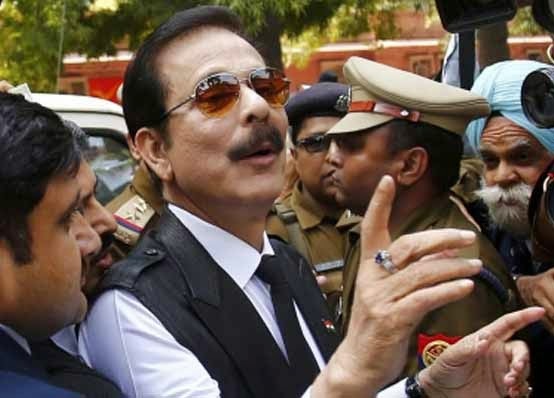 The Supreme Court granted 3 months period to Sahara to set its offshore properties to raise the Rs 10,000 crore required to secure the release of its chief Subrata Roy on bail. The court said it was satisfied with the company’s latest proposal and would allow it to proceed further. It also extended its earlier order allowing Mr. Roy and two other directors of the company to use the conference room in Tihar jail to hold negotiations with potential buyers of three luxury hotels. Bank of China had lent money to Sahara in purchase of stakes in three overseas hotels. Sibal said Nouam Ltd Managing Director Karan Judge will be the legal representative and the investment company will also generate additional 120 million US dollar (Rs 650 crore). He said five-year old facilitator company Noam Ltd is in Joint Venture with Spanish company Yuma Finance AG and together they would be arranging money through BBVA. Sibal said Noam Ltd has “real, clean and untainted” money and is also an unencumbered company.